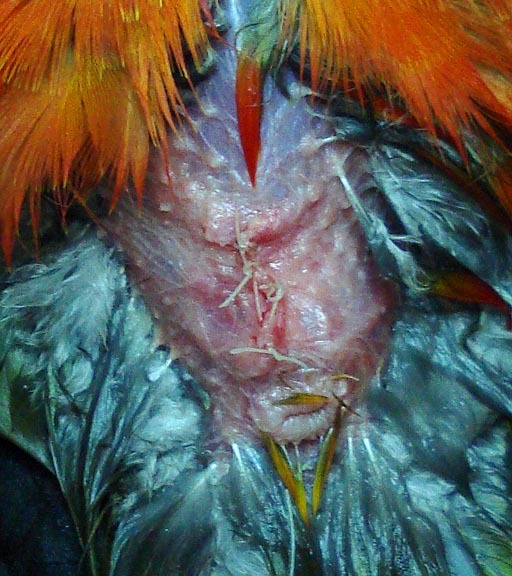 This series of photos shows the hernia repair we performed on a Jenday Conure that came to us after the owner died. 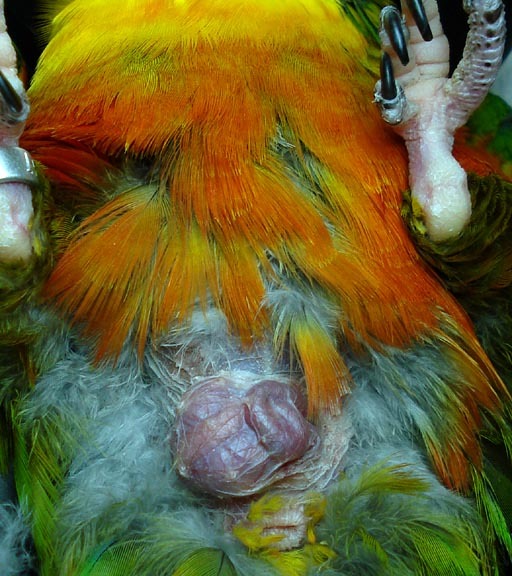 First, see the bird before he was prepped for surgery, with the hernia very obviously protruding from the abdomen. This photo was taken after the skin was opened. The muscle layer looks whitish because of the scar tissue which formed on it. 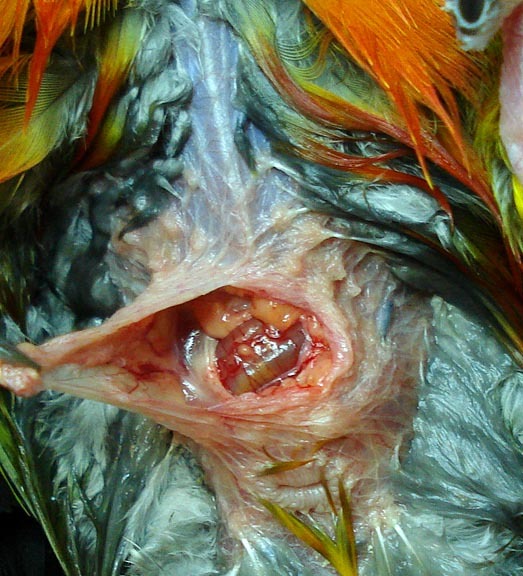 This shot shows the hole in the muscle layer after it was closed. We had to cut the edges of the muscle to remove scar tissue so it would heal together properly. 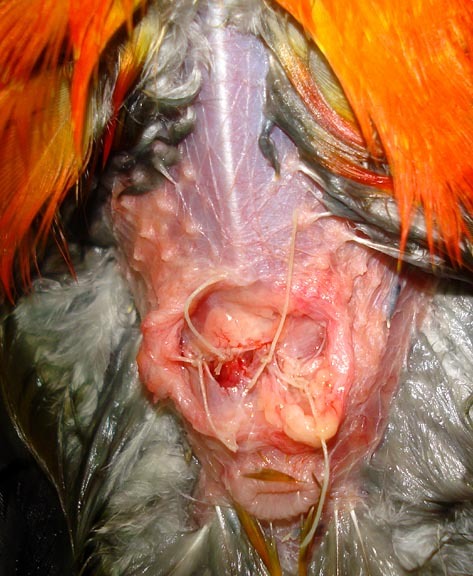 Here is the final shot, with the skin closed. Now he has a flat little belly like parrots are supposed to have! This bird is now in a new adoptive home, thanks to the generous donations of our clients, which allows us to perform medical and surgical care for homeless birds that need our help! There are hundreds of stories we could tell, but no time to write them all. 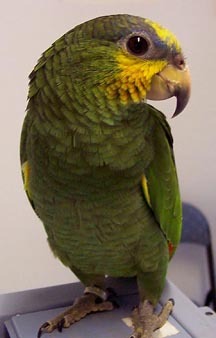 Your donations help with these birds and many more.